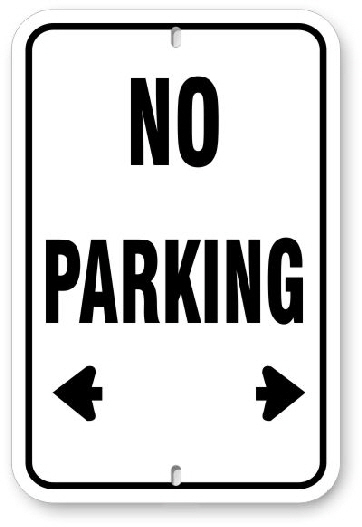 White aluminum parking sign 0.064" thick with slotted holes for easy installation, 1.5" radius corners and all edges polished smooth for safety. Baked on double sided polar white enamel with 3M Graphic film and eco-safe, UV stable printed Graphics. Made to last in Canadian weather conditions.